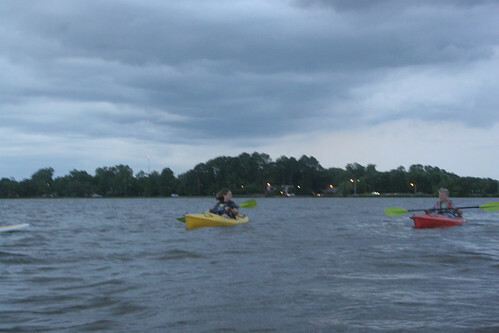 The full weekend of paddling began with an excellent Sunset Paddle on University Lake with BREC Outdoor Adventure. We’ve enjoyed these before, and this was no exception. Mike and I headed to Wampold Park right after work Friday in order to get a nice pre-event paddle in. 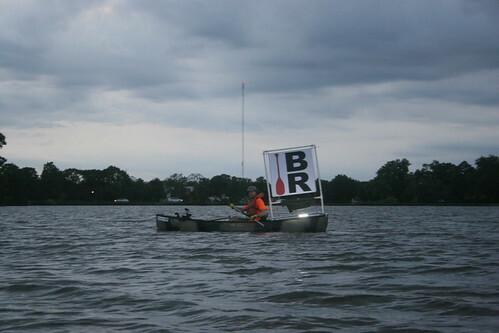 We rigged up my solo canoe with the PaddleBR sign and lights and shoved off early for a quick trip around the lake. If you’re going through the “trouble” of setting everything up, you may as well get some extra advertising out of it, wouldn’t you agree? We got quite a few looks and even a honk, wave, or greeting here and there. Then it was time to head back for the actual Sunset Paddle. 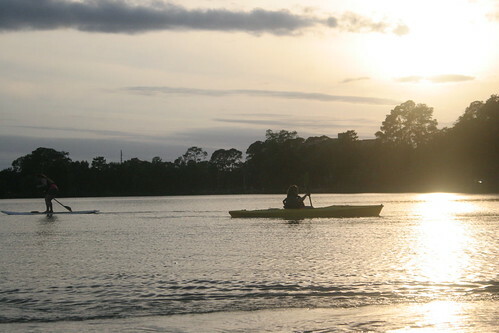 BREC Outdoor Adventure does an excellent job with their Sunset Paddle series, and we’re quite happy to join them out there on the water. 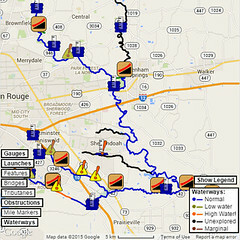 If you haven’t been yet, we highly recommend them as a great way to have an easy, enjoyable paddle on a Friday evening. The next one is scheduled for Friday, June 12th, and we’d love to see you there. 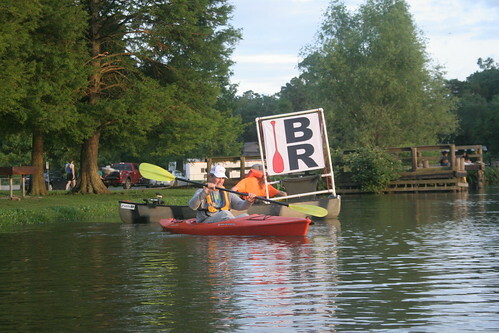 Bring your own boat, or sign up and reserve one of BREC’s.